Do you dream of living steps away from a lush golf course so you can play any day that you wish? If you’re in the market for golf real estate, you probably have Tucson listed as a top golf city. Tucson is well-known for its luxury golf courses, with the WGC Accenture Match Play Championship taking place every year at The Golf Club at Dove Mountain. Many homeowners choose Tucson because of the wide array of golf courses available all year round. There are about a dozen Tucson golf properties that offer beautiful real estate and resort style living. Take a look at this comparison of the best Tucson golf homes and communities. We hope this helps you in your home buying decision. Finally, it’s important to note that the number of Tucson golf homes for sale is subject to change. In some cases, the Tucson golf properties have other options than homes for sale. 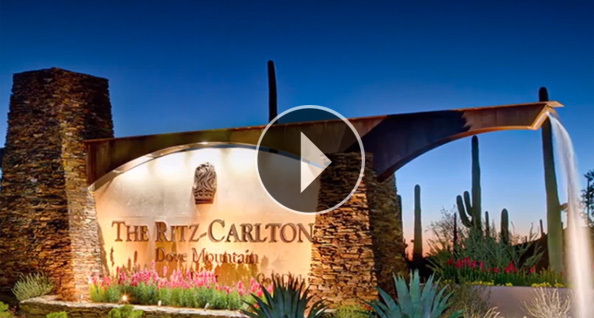 The Residences at The Ritz-Carlton, Dove Mountain actually still has some estate home sites available for purchase. These are land plots where homeowners can build their dream home from scratch. There are 8 custom home floor plans to choose from or each homeowner can design a unique floor plan as they see fit.